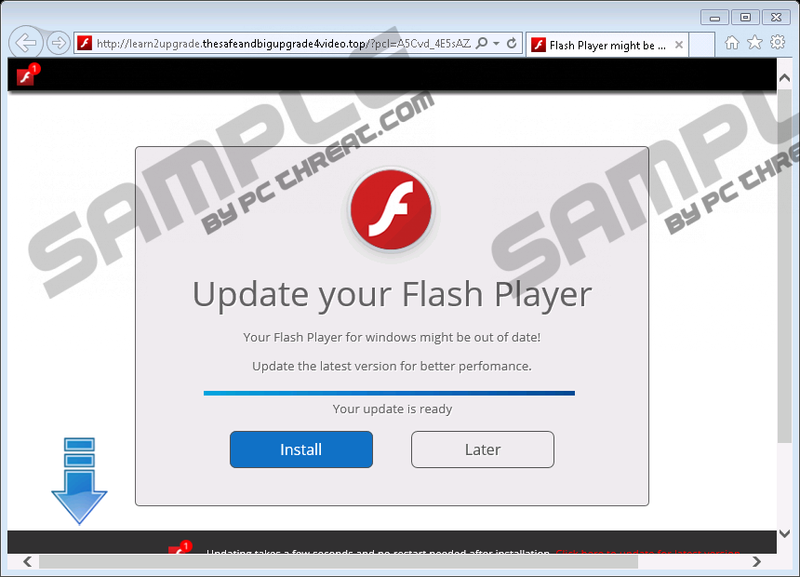 Have you been plagued by random pop-ups that offer to update your Flash player lately? Perhaps your computer is slower than before, and you have no idea how it happened? You should definitely check whether you have Speedownloader installed on your computer. This program may not be an immediate security threat, but if you did not intend to have it on your computer, the fact that the program is there is a blatant proof that your system has been trespassed. When you deal with unwanted programs, you obviously have to remove them. It is not that hard to uninstall Speedownloader, but this application might be just one of the many undesirable apps on-board. Of course, the best way to deal with an unwanted program is to avoid it in the first place. However, most of the users affected by Speedownloader probably do not understand how it enters their computers. If you do not download the program willingly, it should not appear on your screen, right? Well, not technically. There are many ways for freeware applications to enter target computers, and those ways are not illegal, too. As far as this PUP is concerned, it also uses various methods of distribution, and you can rest assured that this application does not take the direct download route to your system. Instead, users download this and other unwanted apps in software packages. Software packages refer to third-party installers that carry more than just application, and they are often hosted on file-sharing websites. For instance, if you are looking for some program, you should probably download it from its official website, but while you search for it, you will definitely get a lot of search results that will lead you to third-party websites. Downloading programs for free does not necessary mean that you will be satisfied with the results. It should also be possible to avoid installing Speedownloader if you were to check the steps on the installation wizard one by one. However, users often breeze through the setup, and they do not care about checking all the additional information provided. Consequently, potentially unwanted programs, adware, and other unnecessary applications end up getting installed on your computer. Perhaps you would not even notice at first that you have many undesirable apps. However, soon enough they will start rearing their nasty heads, especially if they are programmed to auto-start with the operating system. This is exactly the case with Speedownloader. The program will run automatically whenever you turn on your computer because upon installation it has a Run key added in the Registry. The program itself pops up and tells you that you can download files faster with the tool from a number of supported websites. However, the application’s ability to increase the download speed is highly questionable. And apart from its dubious functions, it has additional features that are rather disturbing. In fact, these are the features you should bear in mind when you decide to remove Speedownloader for good. The main problem is that this application constantly launches a pop-up notification. The pop-up opens on your default browser, and it loads the learn2upgrade.thesafeandbigupgrade4video.org website. This is obviously an adware server used to promote potentially corrupted content. The pop-up also says that you have to “Update your Flash Player,” because “Your Flash Player for windows might be out of date!” Needless to say, you need to update your Flash player only through original sources, and normally, the operating system would notify you about the newest updates. You do not have to rely on third parties for that. If you click the Install button on the pop-up delivered by Speedownloader, the chances are that you will eventually be redirected to a potentially harmful website. You can remove Speedownloader via Control Panel, but that might be just the beginning. You clearly need to run a full system scan with the SpyHunter free scanner to locate all the other unwanted applications. Mind you; you should have loads of them. Please do everything you can to protect your computer and your personal information from malicious exploitation. If you have more questions about system security or how to protect your PC from similar apps, you can always leave us a comment below. Our team would be more than willing to assist you. Press Win+R and type Control Panel. Highlight Speedownloader and click Uninstall. Open Uninstall a program and remove the app. Select Add or remove programs and uninstall the program. Quick & tested solution for Speedownloader removal.